So far, we have elaborately discussed different types of food service styles like French, American, Russian, English, Chinese, Gueridon and so on. Today we will give you an in depth tutorial on Buffet service Style. 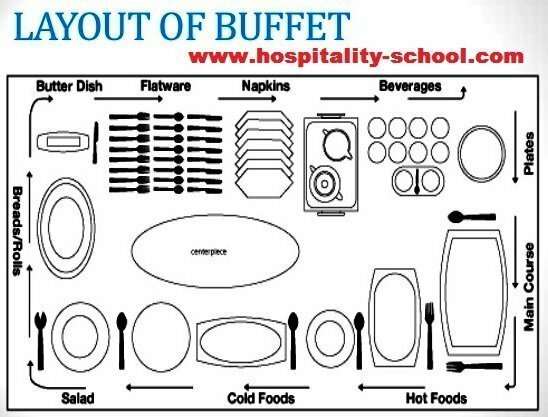 In this guide, we will cover everything you will need to learn to operate buffet service successfully in your hotel or restaurant. Definition of the word buffet can be given in this way like buffet is a special type of meal which is made up with different types of dishes from what guests take foods and then serve themselves without help of any waiter or server. In hospitality sector, buffet is defined as a meal in which the breakfast or lunch or diners serve themselves the various served meals, and the food is typically placed on a table in a public area where the foods can access quickly. The dining table contains the plates for the guests and the serving dishes of food. The diners are then invited to queue along the length of the dining table while serving themselves the food that is prepared in advance. The guests then proceed to other designated sitting places which are set up fully with all appointments except the dinner plate. We have published a complete tutorial on different types of buffet style service. Do read that for better understanding. The foods are attractively arranged on the table and classified according to the proper sequence required for a good set up. Usually, this arrangement ranges from the appetizers to the desserts which are final serving. The buffet table also contains dinner plates and saucers which are placed strategically to enable the guests to pick them up quickly then proceed to serve themselves foods at their choice. The first is having several plates on a table containing equal portions of food which the dinners pick as they pass. A second method is whereby the diners are seated then they get to choose their preferred meals from wheeled carts that are being circulated in the dining room or restaurant by servers. Another method is whereby the diners can serve themselves as much as they want; this is also called “all-you-can-eat” buffet for one single meal. In many restaurants, this form is paid on a fixed fee. The Mongolian barbecue buffet permits the diners to choose thinly sliced foods then present to the restaurant chef to prepare the food as they wait. 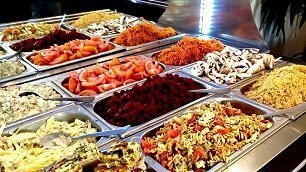 The supermarkets, delicatessens, and malls utilize the salad bar style in which the customers pick whatever they want then are billed regarding the weight of the foods. Lastly are the open buffets which are common in ceremonies and celebrations and usually no cost is involved to the diners as they carry their plates and move along the buffet line as they help themselves to the food. The right surface to place a buffet meal should be flat, and it should also be able to carry the tableware and serviceware. The minimum length can be about five feet but should any more space be required then other smaller tables can be added. A separate table should be provided for beverages away from the buffet table. The buffet table is then positioned depending on the size and dimension of the room. If the room is spacious enough, then place the table at the center, this will accommodate the service on both sides of the table and from both ends. It enables the serving to be faster and also reduces the congestion. But in a smaller room, the buffet table is placed against the wall so that it creates enough space to allow for the flow of traffic. The start of the line should begin with the plates. The stacks of plates should be around ten plates high in around two or three stacks; this will be added depending on the number of visitors flowing in but should not be too high so that they pose a risk of tipping over. Then depending on whether the buffet is a breakfast buffet or lunch or dinner meal, the food is lined up according to the temperatures. The cold foods are at the first stop. Then the hot foods which are mostly the main dishes are at the end of the table; this is for the main reason that the guests won’t have to eat the cold main dishes when they get seated. At the furthest end are the utensils and napkins as the visitors head to their seats. Forks: – Place the forks on the left side of the plate. The furthest fork is the salad fork, and that next to the plate is for the formal meal. Dinner Plate: – This is placed on the table when serving the main course of the meal. They are laid out an inch from the edge of the table. Salad Plate: – It is placed further left to the forks about two inches from the edge of the table. Spoons and Knives: – Are placed to the right of the dinner plate, but the knife is next to the plate. Bread Plate and Butter Knife: – When you serve bread as part of the buffet, a bread plate is placed above the forks on the left side of the dinner A butter spreader is laid on the bread and butter plate. Glassware: – Normally, a wine glass is used along with a water glass. If the table does not contain a lot of stuff, then you can arrange the glasses in any way parallel to the table’s edge. Water glass should be about an inch above the tip of the dinner knife and the wine glass to the right side of the water glass. Dessert Spoon and Fork: – The dessert spoon is laid above the dinner plate horizontally with the handle facing the right. The dessert fork is laid just beneath the dessert spoon/ knife and the handle facing the left side. Salt and Pepper: – The salt and pepper shaker are placed to the right side next to the right arm with the pepper shaker being at the far end as most people do not use pepper. Before the service begins you should ensure that the tables and linen covering are clean, and the tablecloths evenly spread on the tables. The chairs should be properly arranged and dusted. The dining tables are set up in an appropriate manner allowing enough spacing for the guests to place their plates or two depending if the service requires extra. The crockery that holds the foods should be spotlessly glittering with any food spilling polished clean. Sugar bowls, flower vases, and cruet sets should be duly filled and placed on the tables. Water jugs and ice buckets should also be full and ready. The floor should be clean and dry. The buffet service is either assisted or unassisted. Assisted is when aid is available to take your order and present you the food while seated and the unassisted is whereby the guests serve themselves entirely at the buffet. The servers provide professional assistance while the visitors sit at preset tables. Mostly it’s offered when the meal is a three course namely appetizer, main course and desserts. The appetizer is served on the dining tables before the guests arrive, the guests will then help themselves out at the buffet and may return to get more portions as they desire on the buffet line. Then afterward, the desserts are served to them again. The plates are to be cleared two at a time; one should also not crumble the table before the guests leave unless the table is unusually messy. Assistance may also be offered to the guests as they sit randomly, and the only assistance is at the buffet table engaging two or more people to assist in serving the main course and salads then the guests proceed to sit at places of their choice. Handle the food at suitable temperatures by ensuring that hot foods be served at a minimum of 60 degrees Celsius while the cold foods at a maximum at 4 degrees Celsius. Always try to maintain the temperature range during service of the buffet. The ice used to cool the food should be made from safe drinking water. The food is not to be in direct contact with the ice but placed on top of the serving. Ensure that the melted ice drains away from the food. 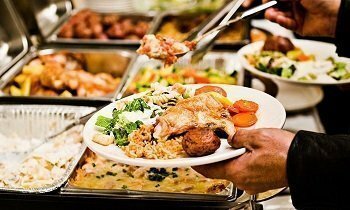 The foods presented on the buffet table must be protected against contamination by making sure the entire serving platter have container covers, shields or sneeze guards. Place the food in containers recommended for handling food. If it is possible, some of the service crew should wash their hands and serve the requested food to the guests using clean and sanitized utensils; this ensures that there is minimal risk of guests contaminating the food. Where it is not possible for the service crew to serve the clients then always provide long-handled Remember to offer a plate beside food for placing the appliance when not in use. Do not directly add new and fresh food to the containers on display. The old container should be removed and replaced with fresh supplies in new containers. Always ensure that you have sufficient utensils including plates. Take away the empty plate from the tables and when the guests want to refill their plates should be provided with clean plates. Always ensure safe food handling in clean containers. When transporting food to the buffet table, cover the containers. If transportation vehicles are used, they should also be cleaned before loading the food for delivery. Although tipping is not mandatory, most people tip as a way of showing appreciation for the good service and as a way to always ensure that the service is top notch. A general rule for tipping is to tip by the level, proportion and quality of service offered. A tip at a buffet depends on the degree of service. The amount which the client gives out varies from whether it is a fast food buffet in which no tipping is necessary as every client performs all the service on his own. Then if a waiter or waitress takes your order and checks on you in case you might need anything additional, then a dollar or two is appreciated for the service. For a high-end buffet where the waitstaff serves drinks and even orders directly from the kitchen, then the tip can range anywhere between ten and twenty percent of the total bill. For buffet serving in restaurants, a tip can be provided to the servers who are clearing the dishes on the tables and providing drink refills. The servers may not be actively engaged in taking orders nor bringing the food out, but they work in ensuring that the tables are clean and emptying the plates. Also, they maintain the buffet line with new food stock in clean crockery; they indulge in coffee or tea brewing. 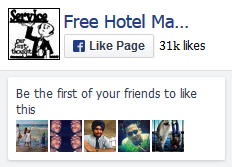 The average amount that guest can offer for a single server is a dollar but not anything less than that. But if the visitor may feel that the service is not satisfactory enough then may offer to scale down the tip because of the poor customer service. Food presentation in a buffet is the ultimate goal for a good service. An eye-catching presentation of food entices customers to the meal; this is the first impression that the visitors get as they are welcomed into the restaurant. The equipment should be presentable, stylish and practical in design that would be suited for a variety of buffet servings. The buffet display equipment includes chafing dishes, display trays, and display baskets. Buffet utensils will also be required to enable the clients to fill their plates as they pass through the buffet presentation. Other equipment needed for buffet service are condiment dispensers, tablecloths, coasters and vases for flowers. To successfully serve a meal, you require appropriate lighting and heating methods so that the food remains hot and tastes fresh. Several types of equipment will ensure that the food whether being served hot or cold will always be at the desired temperatures even if the food will require transporting to another location different from where it is prepared. Buffet Food Warmer: As the name suggest buffet food warmer is used to keep food warm. Chafing Dishes and Fuel: – Chafing dishes are an efficient method of keeping food warm as they can keep the food warm through a heating device burning fuel. Display Trays: – The shelves offer an ideal way of serving fruits, bread, and other snacks to the guests. Cake Stands: – These are used to present baked cakes making the cakes prominent. Buffet Dishes and Platter: – The buffet dishes and plates are used to serve guests the food. The appropriate size in diameter ranges from ten to twelve inches. Table Skirting and Clips: – The skirting provides an elegant look and comes in different patterns and colors to blend with various themes of buffet occasions. Buffet Utensils: – The utensils are specially designed for buffet service ensuring that there is minimal contamination of the food. Deli Dishes: – These containers and bowls are used for the display of foods such as potato salad, pasta, coleslaw and the likes. Soup Tureens: – The soup tureens and punch bowls main purpose is to serve soup or punch. Other equipment can vary depending on the venue of the buffet but can include rope barrier systems, ice cream and cone holders, wedding cakes stands, and knives and food labels that display to the guest the range of food types served. An essential feature of the different buffet presentation formats is that all the food is clearly visible to the diners, and they have the liberty to select immediately the kind of foods that they want to eat and the quantity they can eat. The advantages of serving a buffet are that it is a fast service that can handle a lot of diners within a short period with little effort required from the staff as much of the time the patrons will be moving around and getting what they need. The ways the foods are presented in buffets are appealing to the patrons. The only disadvantage of buffet serving is that a shortage of food may result as the early comers might over serve and cause a shortfall for late comers. Next articleSo you Want to Be a Chef?